RG Bud Phelps’ accounting books explain why financial statements provide an almost magical look into the health and well-being of a business, offering business owners clues to help them analyze their progress and make plans for the future. RG Bud Phelps Accounting Book, his first, was written for managers with limited accounting experience as a guide to better understand of practical accounting and their own financial statements. 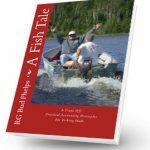 A Fish Tale – A Trade Off: Practical Accounting Principles for Fishing Skills by RG Bud Phelps, will bring out accounting principles throughout a fictional sharing process as a trade off for a friend’s fishing skills. This fictional business story shares real skills in an atmosphere of a fishing trip to Western Ontario, Canada. Throughout this story Bud will share four key Practical Accounting Principles: Principle #1-Chart of Accounts, Principle #2-Financial Statements, Principle #3-Management Footprints, and Principle #4-Internal Controls. 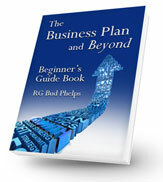 “The book, The Business Plan and Beyond, is a key start-up reference guide book covering a section on accounting you would find in any good accounting book and could put you and your business in the company of the small percentage of start-up businesses that are successful. “A template of a business plan will be available on my website, as well as supportive Financial Statement templates, such as the ones you will need to include in the Financial Section. Templates can be downloaded from the Bud’s Practical Accounting website by clicking here. You can find all kinds of accounting books on line, just Google accounting books, and you’ll see what I mean. I promise you my accounting book will give you the keys toward a better understanding of Practical Accounting through a fun fishing experience. You may know your products or services very well, but not how the economic history of your company is revealed. Utilizing the Practical Accounting Principles presented here can really help you become a more knowledgeable and wiser manager. 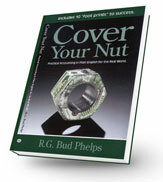 To Purchase A Fish Tale – A Trade Off or other accounting book titles by RG Bud Phelps visit our online store.